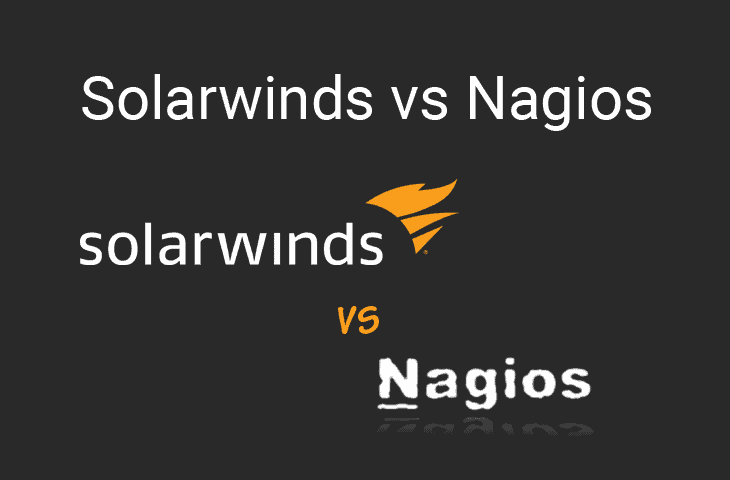 Today we'll be briefly going over some of the major differences between Solarwinds vs Nagios in terms of Network monitoring, management, auto-discovery, inventory management and bandwidth analysis/monitoring. Both of these software manufacturers have been the Network Monitoring realm for almost 20 yrs now and have revolutionized the way we monitor and manage network devices, servers, routers, switches and even mobile devices. We're going to breakdown some of the differences between the two and compare features and capabilities to help you make a more informed decision on which one you should be implementing into your network. As you can see, Nagios needs a lot of Plugin's and Add-on's in order to complete the same tasks that Solarwinds can do natively out of the box. We've seen this quite a bit with Nagios, and there are some features that Solarwinds simply out-performs Nagios in. For most Network Admins, we like to setup and deploy software quickly via an Installer – further adding in our subnets and click the Auto-discover button for the software to automatically map and discover all nodes within our network. Solarwinds has this feature set and can quickly inventory and start monitoring hardware health, uptime, bandwidth usage and more fairly quickly. On the hand, Nagios will need a little more configuration on the back-end due to its config file setup and intricate setup procedures. If you are happy with digging through files and configuring the software that way and want full control over the software you are implementing, than Nagios is a great option. But if you are looking a more hands-off approach to help you get monitoring within Minutes rather than Hours, we strongly suggest you check out Solarwinds Network Performance monitor. 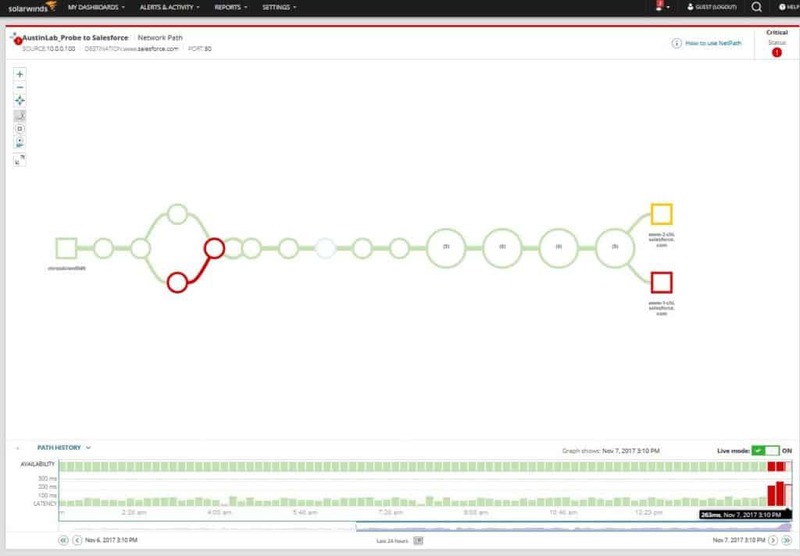 Many of the features we've mentioned above come pre-packaged within the software and as of recently, they've even included a Network Insights for Cisco ASA firewall that gives you the flexibitlity to dig into Cisco ASA's and understand whats happening on the edge of your network all within one dashboard. On top of the features we mentioned above, Solarwinds also introduced a new feature within the last year or so called NetPath which maps out every Network Hop and analyzes latency, lag and possible bottlenecks that each network hop produces. This feature lets you analyze, pinpoint and troubleshoot quickly and easily from within the dashboard. In this case, We highly recommend Solarwinds for Network monitoring, management and Inventory control, as they have quite the offering and are continually adding innovative new features that you simply cannot find in many of these open-source alternatives. Grab a 30 Day Free Trial download from Below and get the software installed to get a better understanding of how it performs in your network. James Cox is the Editor at ITT Systems and has a Long History in the IT and Network Engineering Field. He Boasts a long list of Credentials ranging from CompTIA Certifications up to Cisco and VMWare points on his Resume. Keep an Eye on your NETWORK!